There are six principal contributors to pond deterioration in Brewster. Most are from a diverse set of what are termed “non-point pollution sources,” meaning that they do not originate from one large source such as a sewage treatment plant or a failed gas station tank. According to the Massachusetts Non-Point Source Pollution Manual, it is now believed that non-point sources are responsible for 75% of all water pollution problems in the United States. Residential septic systems are leaching nutrients into porous soils which are now reaching our ponds. Cape Cod soils do not contain the same iron compounds found in most other areas of Massachusetts, which bind phosphorus to the soil. As a result, septic systems that are within the 300 ft “up-gradient” (or upstream) of both groundwater and surface water flows to ponds, are now contributing to their degradation. Septic systems within a 100 ft gradient surrounding ponds are also contributing. Even if this were to be stopped today, the impact from this aspect of residential development will continue for another generation or longer from migrating nutrients that are already in the soil. Excessive fertilizer, pesticide and insecticide application from both historic and current commercial, agricultural and residential practices has, over time, contributed nutrients (phosphorus in particular) to our ponds. Many ponds in Brewster already contain enough phosphorus to cause algal blooms during warm summer months – without further introduction of nutrients. This process called self-regeneration, for which the remedies are often viewed as a catch 22 – expensive and could present unknown future risks. 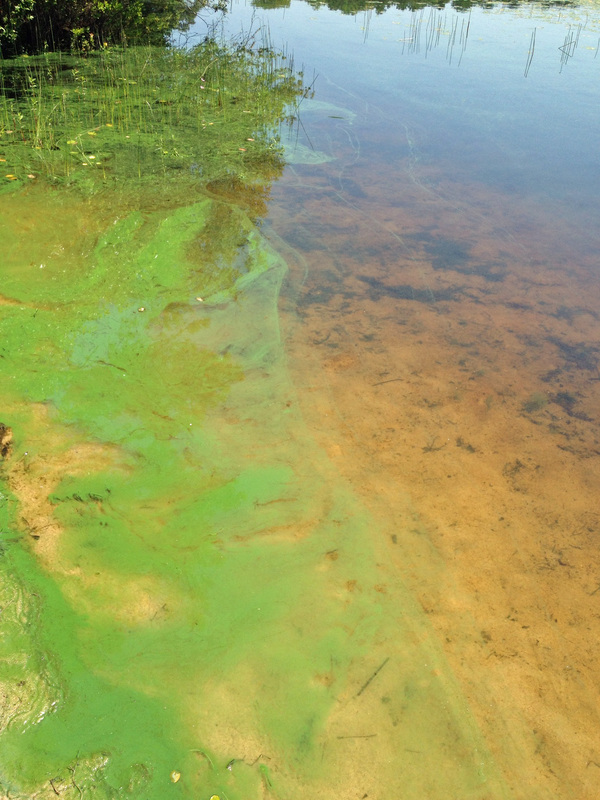 It takes only a small amount of additional nutrient load to cause a toxic algal bloom that will close pond access. 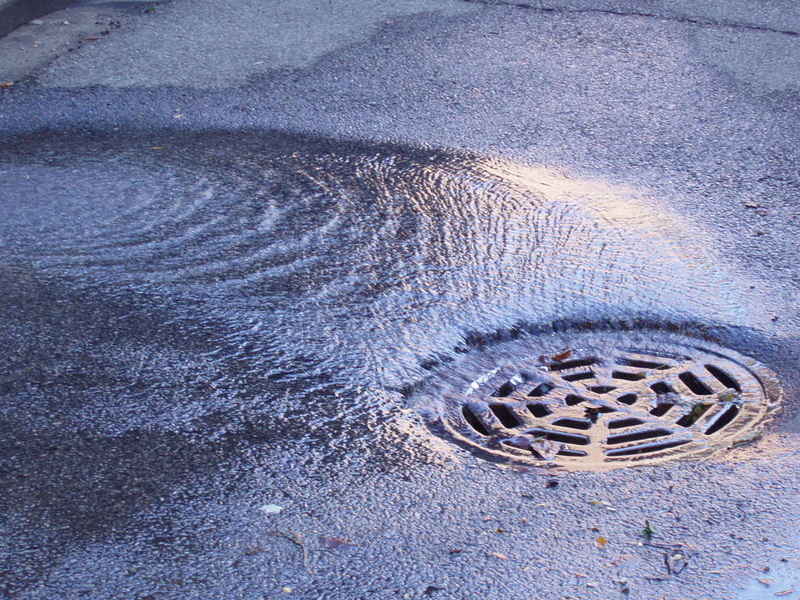 Run-off is rain water, snow melt or irrigation that flows from parking lots, roadways and roof tops. It collects pollutants such as bird and pet waste, oils, excess fertilizer and toxic chemicals from the land or air and impervious surfaces such as parking lots, roads and driveways, where there is no vegetation, and transports them directly to storm drains, and in some cases our ponds. Atmospheric deposition is the process through which mercury is deposited from the air onto the land and water. Once deposited, it builds up into a highly toxic form in fish and shellfish. This cycle continues up the food chain eventually reaching humans. Eight of ten ponds tested in the Cape Cod National Seashore from 2006-7 tested positive for levels of mercury at or above the EPA's “Action Level.” The Massachusetts Department of Public Health (MDPH) has reviewed fish toxics data generated by the Massachusetts Department of Environmental Protection for Sheep Pond and Baker Pond in Brewster and the MDPH has issued fish consumption advisories due to fish contaminated with mercury. Detritus and decaying vegetative matter in and along ponds breaks down and is consumed by microscopic one-celled organisms above the bottom sediment. Bacteria exist everywhere, and perform a variety of functions; not always useful to people. While digesting organic matter in our ponds, bacteria greatly reduce the quantity of oxygen in the water, creating fish kills and oxygen dead zones that will not sustain aquatic habitat. 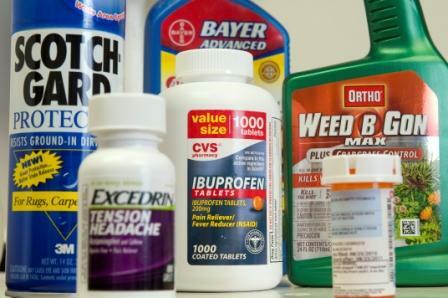 Emerging Compounds: Pharmecuticals and Personal Care Products (PPCP's) are chemicals or micoorganiisms that are not commonly moinitored or regulated in the environment, but are suspected of having potentially adverse ecological and/or human health effects. They can include hormones, human and veterinary pharmaceuticals, and household products like soaps and lotions, insect repellents, perfumes and other fragrances, sunscreens, and hand sanitizers. In 2004, thirteen compounds were detected in low concentrations (less than 1 microgram/liter) in the some private and semipublic drinking water supplies on Cape Cod and three, an antibiotic, an antidepressant, and a solvent, were detected in the public water supply. The Massachusetts Environmental Trust has recently funded a study by Silent Spring Institute to sample and test public supplies for these emerging compounds.